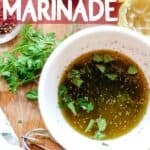 I probably should have posted this recipe three months ago during prime grilling season, when I realized how amazing this marinade is for grilled chicken. Alas, I did not. 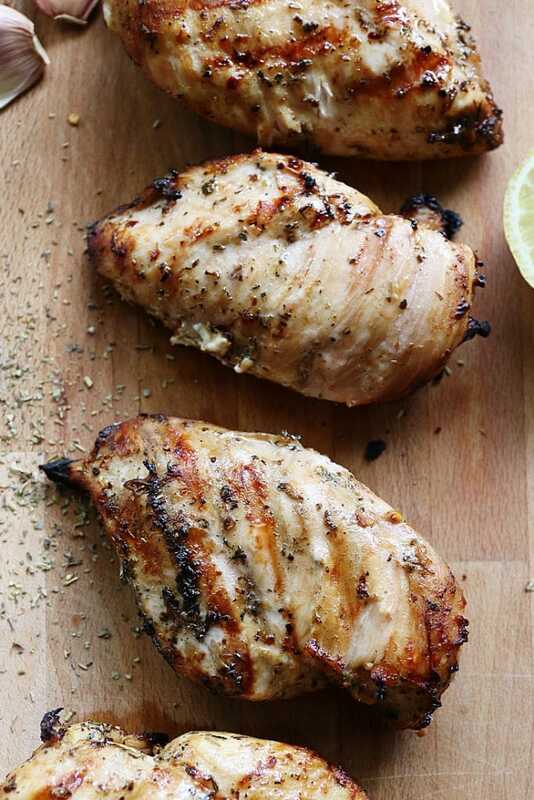 Lucky for you grilling season isn’t over yet, so get yourself a lemon and go grill some chicken! 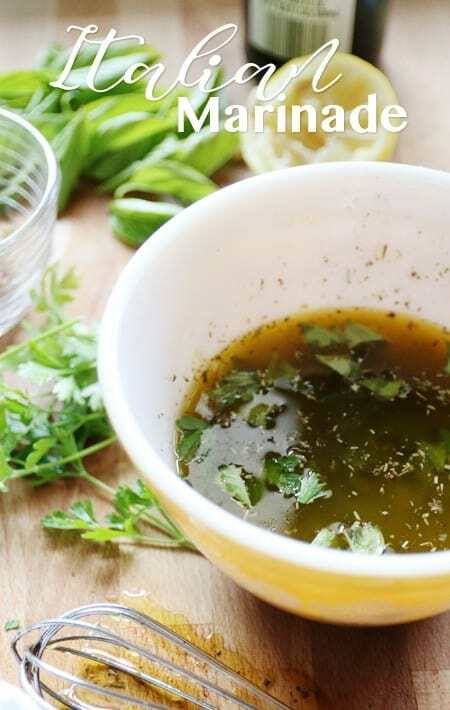 I love coming up with super flavorful marinades for chicken. I always know it’s a good one when I’m slicing the chicken and can’t stop eating it before I serve it up to the rest of the family. My favorite bite is that crispy little nub at the bottom. The flavors of this Italian marinade pair really well with pasta dishes. We’ve been loving grilled Italian chicken over pesto pasta with tomatoes and fresh mozzarella. It’d be equally great in a chicken panini, or even served up with some smashed potatoes and grilled veggies. Perfect for grilled chicken served over your favorite pasta. Combine all ingredients in a plastic bag or bowl. Place chicken in the marinade. Allow to marinate for 2-4 hrs. 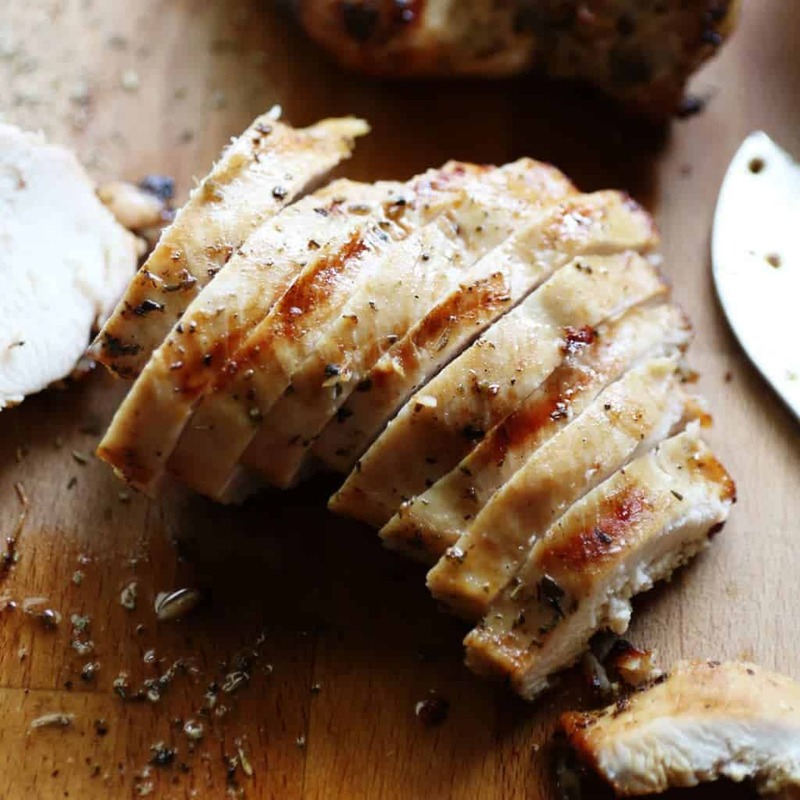 Grill the chicken as desired and serve.